Your KUT socks are in the mail. You should receive them by May 25. Please email us at membership@kut.org if you don't have yours soon. Our infamous socks are back! These socks feature grackles wearing fun hats, shoes and bandanas. The socks are made by locally-owned Sock Club and the yarn is sourced in the United States. 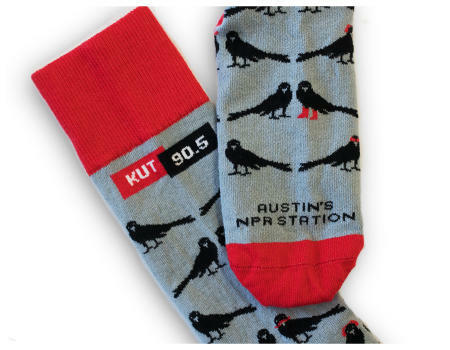 The socks are light gray with black grackles and red accents. In the past, these socks have flown off the shelves so make sure to request yours today! 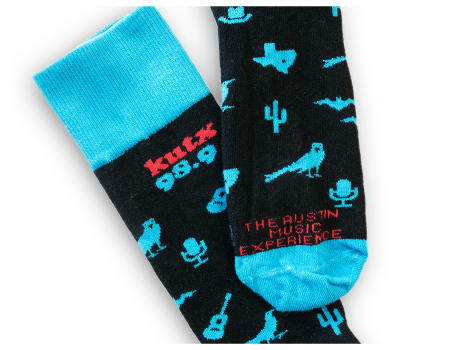 Your KUTX socks are in the mail. You should receive them by May 25. Please email us at membership@kut.org if you don't have yours soon. We have received the shirts. We are processing them and hope to ship them out by May 25. 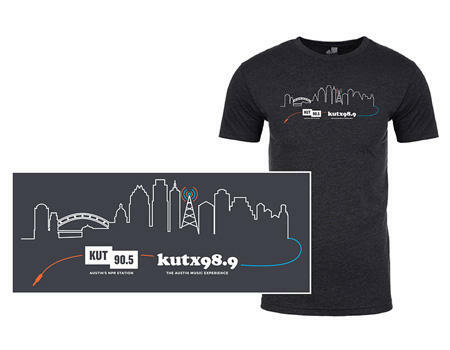 Show off your support of Austin and public radio by requesting the KUT-KUTX t-shirt. The charcoal-colored shirt features the iconic Austin skyline and the logos of the two stations. It is a poly-cotton blend that is nice and soft. The shirt runs true to size. We know you’ll enjoy proudly proclaiming your allegiance to Austin's NPR Station and The Austin Music Experience! These CDs have been shipped. Please email us at membership@kut.org if you don't have yours. 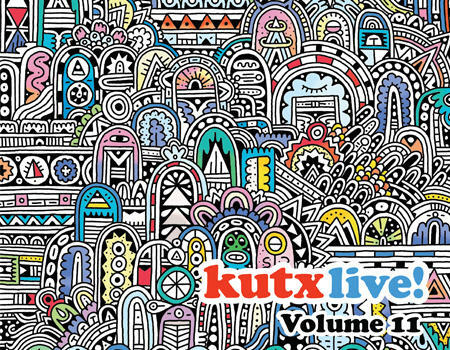 The KUTX Live CD is an enduring thank you gift. The CD features songs performed live for KUTX. This volume showcases tracks by Alt-J, Melat, Hamilton Leithauser and Jade Bird. Make sure you add this CD to your collection before it is no longer available. You should be receiving Concert Club invitations on Fridays. If you are not, please email Membership at membership@kut.org. Become a member of the KUTX Concert Club and get invitations to shows in Studio 1A before anyone else! 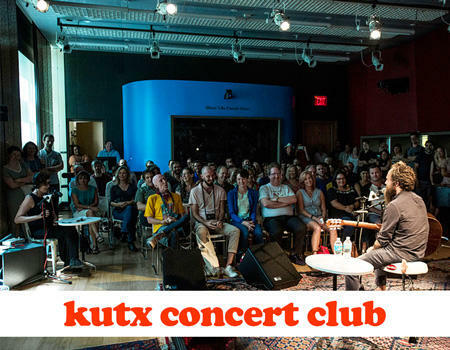 Members of the KUTX Concert Club will receive regular emails notifying them of upcoming performances in Studio 1A – and offer the opportunity to reserve a pair of seats! Within the past year, KUTX has hosted Iron and Wine, Margo Price, Son Little, Father John Misty and many more. Most of the shows will occur on weekdays during the day but we are now scheduling more After Hours shows in the evening. Guarantee that you receive an invitation to one of the most exclusive music clubs in Austin. Become a member of the KUTX Concert Club! Please note: Thank you gifts (not including Concert Club) are shipped out 6 to 8 weeks after the membership drive ends.